The existence of multiple subclasses of type Ia supernovae (SNeIa) has been the subject of great debate in the last decade. One major challenge inevitably met when trying to infer the existence of one or more subclasses is the time consuming, and subjective, process of subclass definition. In this work, we show how machine learning tools facilitate identification of subtypes of SNeIa through the establishment of a hierarchical group structure in the continuous space of spectral diversity formed by these objects. Using Deep Learning, we were capable of performing such identification in a 4 dimensional feature space (+1 for time evolution), while the standard Principal Component Analysis barely achieves similar results using 15 principal components. This is evidence that the progenitor system and the explosion mechanism can be described by a small number of initial physical parameters. 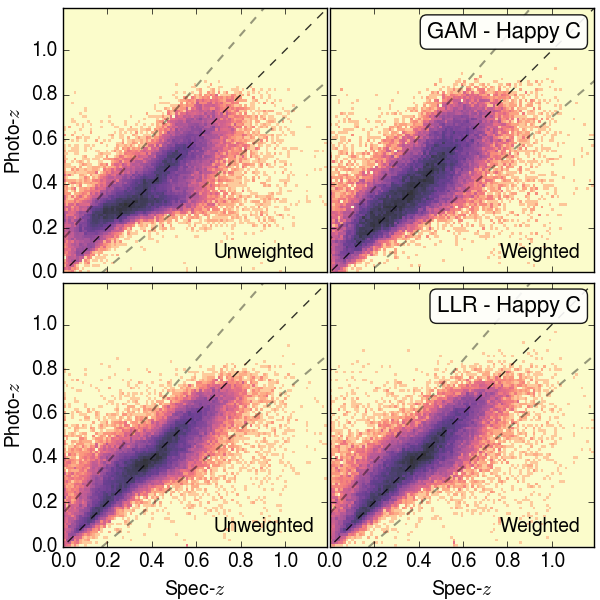 As a proof of concept, we show that our results are in close agreement with a previously suggested classification scheme and that our proposed method can grasp the main spectral features behind the definition of such subtypes. 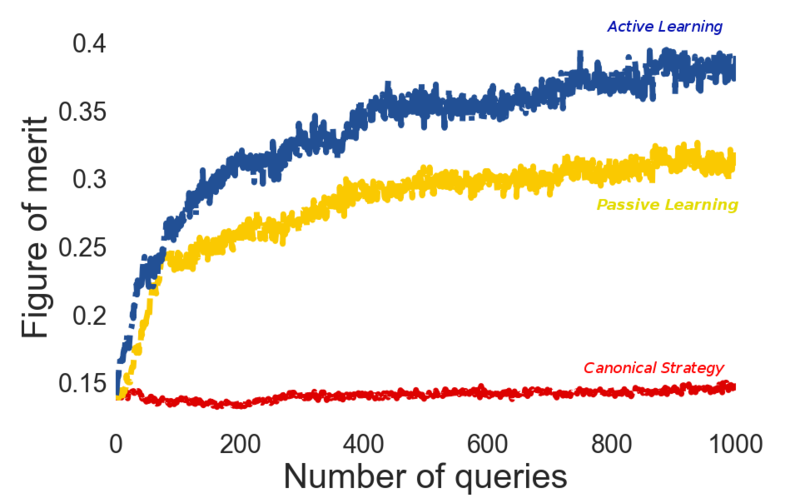 This allows the confirmation of the velocity of lines as a first order effect in the determination of SNIa subtypes, followed by 91bg-like events. Given the expected data deluge in the forthcoming years, our proposed approach is essential to allow a quick and statistically coherent identification of SNeIa subtypes (and outliers). 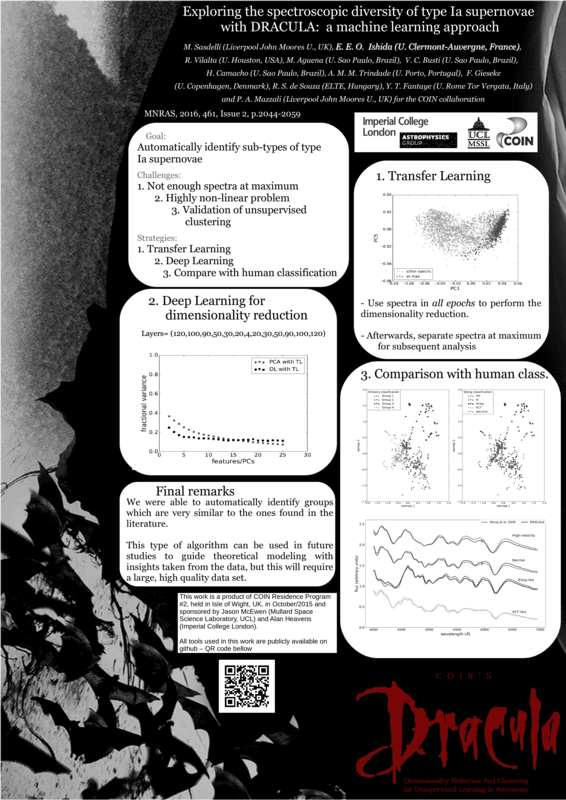 All tools used in this work were made publicly available in the Python package Dimensionality Reduction And Clustering for Unsupervised Learning in Astronomy (DRACULA) and can be found in the COINtoolbox. 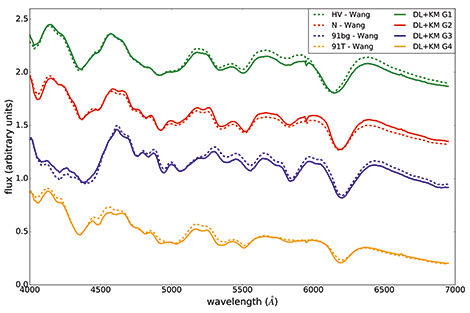 Mean spectra of groups found by DRACULA (full lines) and mean spectra of groups defined in the literature (dashed lines).